Keep your kitchen clear and free of odour with the stylish and unique Euromaid 90cm Glass Canopy Rangehood. It features a three speed fan, 1000m3hr performance rate and comes with removeable and dishwasher safe filters for easy cleaning. Superior Circulation Working with a three speed fan, the Euromaid Rangehood will quickly clear out your kitchen of any smoke or steam, working at a rate of 1000m3hr. It also has a re-circulating option, to improve the state of your kitchen after you’ve cooked a big meal. Stylish Design The Euromaid Glass Canopy Rangehood has a unique design that sets it apart from other Rangehoods, with a distinctly stylish look that will add to the modern look of your kitchen. Dishwasher Safe Filters Save yourself time and energy with the two Baffle filters that are included in the Euromaid Rangehood, with the filters being dishwasher safe so you don’t have to take time out of your day to clean the filters. The Euromaid CG9BLS 90cm Glass Canopy Rangehood was added to the Kitchen Hoods category in June 2016. 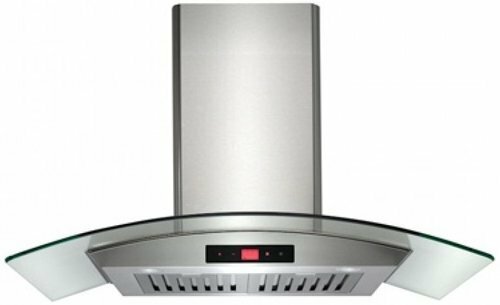 The lowest price GetPrice has found for the Euromaid CG9BLS 90cm Glass Canopy Rangehood in Australia is $559.00 from ozappliances.com.au.